Ergo Wind is a leader company in the small wind turbine sector and its success is based on continuous effort in research and development of new technologies and solutions. Our team is highly qualified and comes from the thirty-years experience of TCS Energy, a successful company operating in the renewable energy sector. 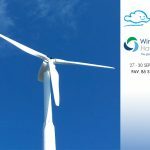 The core business is represented by small wind turbines from 20 kW to 60 kW power, designed and manufactured in our factory located in Pesaro, with the precious partnership of Università Politecnica delle Marche and other influential Italian and European companies. Ergo Wind has got certified for bankability and funds release finalized on investments for its wind turbines. Some of the strategic advantages that Ergo Wind can offer are: hydraulic tower and asynchronous generator, which place Ergo Wind as a leader in the production of small wind turbines with the best relation between quality and price. Our company policy is full transparency, we offer to all our customers the possibility to visit our factory where we show all our manufacturing process, again we support our customer giving the possibility to obtain data and statistics of their working wind turbines. The after sales service is ensured and managed by official authorized Ergo Wind centers located in different areas in order to provide the best and fast technical support.